0.2 therapy air mask sheet special 60 days pack. Our Shipping facility double wraps products to send all of them to you. But recently due to intensive investigation on illegal imports of terrorism goods, customs in your country can open the package in advance to check. And during this procedure product loss can occur. This product is an event merchandise and cannot be refunded or exchanged with above reason. I am madly in love with these masks! they have saved my skin in many dramatic situations, so thank Etude House for creating excellent and valid products at affordable prices. My favorites are lemon and pearl because they make the skin incredibly bright after use. I recommend using at least 2 times a week for a good result. OMG! Now Im an addict to this masks, theyre amazing! Super thin, smells amazing, moustirizing is perfect, hydratation is amazing, and is always solution left for you to use in the morning with cotton pads or apply to your body. Also they last a really looong time so thats a really good plus. I do love all these masks! In short, they are perfect. 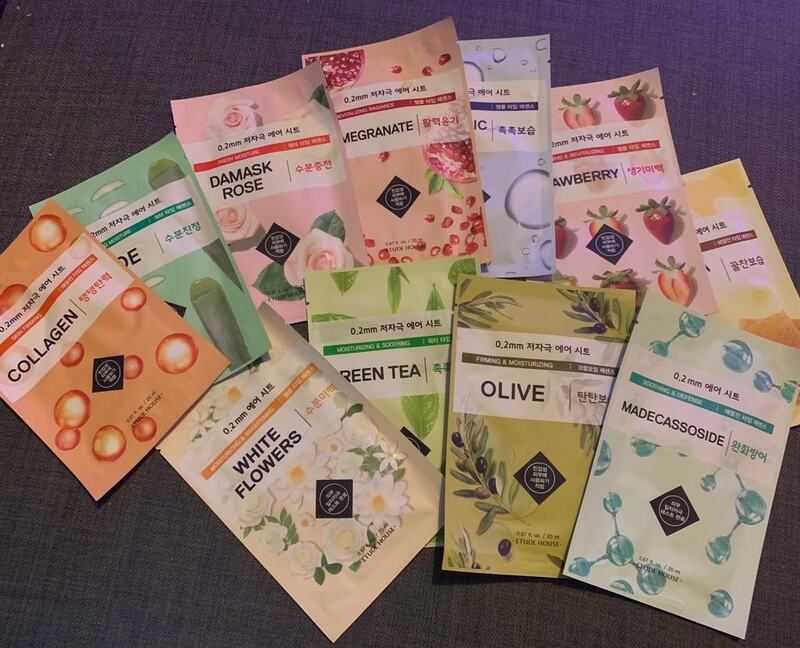 These are my favorite sheet masks. They are really moisturizing and I have never have had a bad reaction. I have atopic dermatitis, so I have to be careful about what I put in my skin. Another good thing is the way it fits into your face, it is easy to put them on and cover your entire face without having bubbles or wrinkles over the sheet. This variety pack is great. You get a good variety of: detoxifying, moisturizing, brightening, and firming. The quality is pretty decent. Most have light smells that correspond to the mask. These masks are the best. They leave your skin feeling fresh and looking glow-y and dewy. I recommend using at least 2x a week, but more than that to get even better looking skin. It's a very low-cost way to pamper yourself! 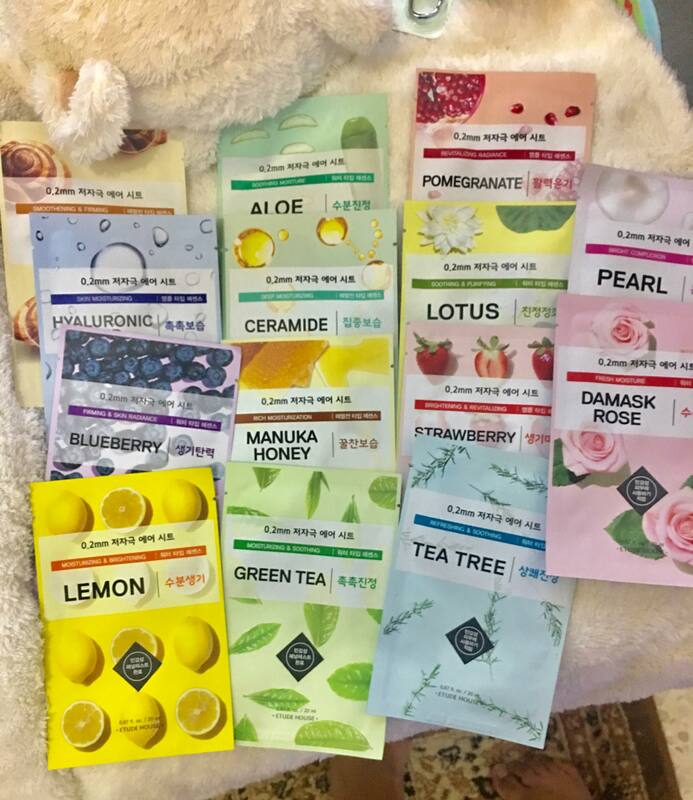 There's a reason sheet masks are a part of the infamous Korean beauty routine - they work, and they make your skin look awesome (for me, they just might make the most difference in my own skin routine)! Be sure to leave on 20 minutes to get maximum benefits. 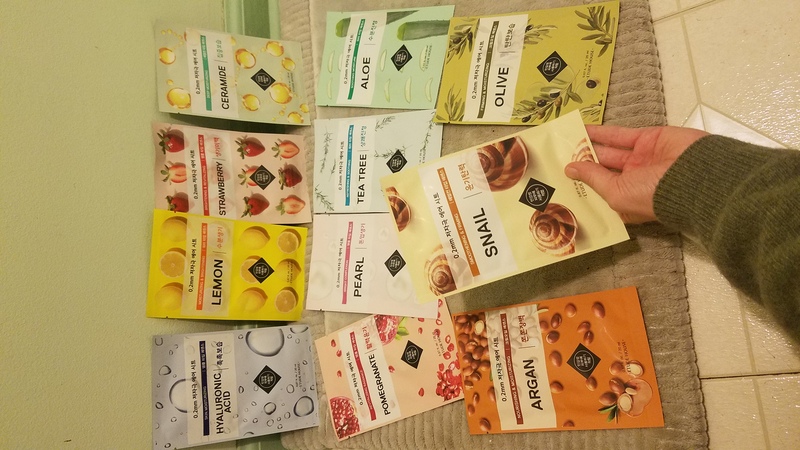 Honestly was not sure how I was going to like these masks as I have tried quite a few different brands most of them being more expensive but these have been a great find. My favorite so far has been the tea tree and the strawberry. The paper feels very soft and there is enough essence to fill the palm of your hand that is left over in each pouch after taking the mask out. The essence doesn't run down my neck when relaxing which is a huge plus for me (I hate that). Overall will be repurchasing! Love them! I was a little worried about ordering these because of fear of receiving imitation(fake) versions of the real masks. However after receiving and using I'm like 99% sure they are authentic. As far as the overall mask itself you basically get what you pay for. If you're using these with the intention of expecting a miracle skin transformation when you remove them then you're going to be dissapointed. But if you're just looking for basic everyday sheet masks then these are great. Only thing I think worth mentioning is that the sheets themselves are very very thin compared to others. But overall I'm very happy and would recommend.